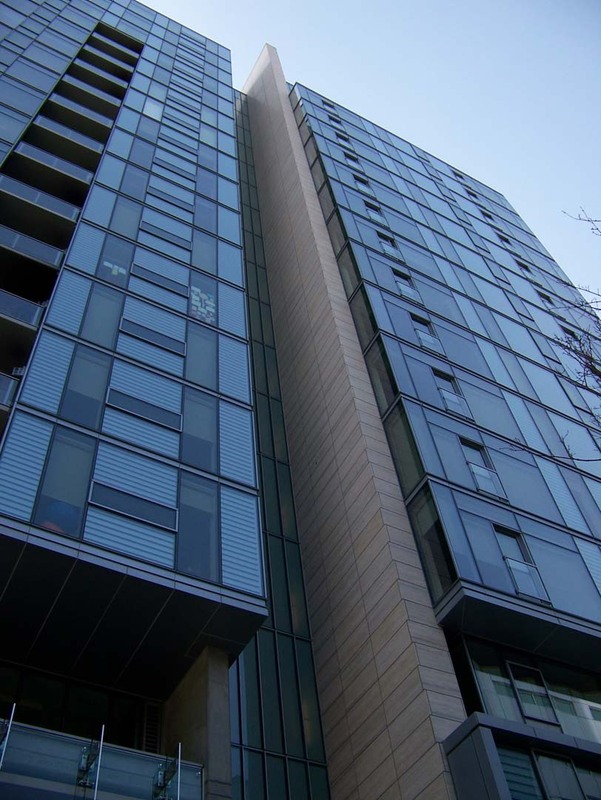 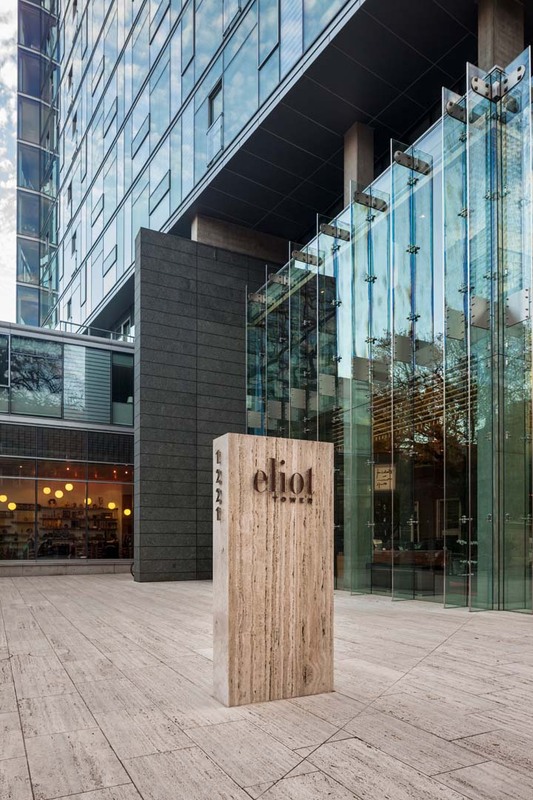 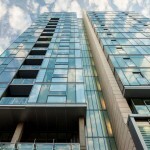 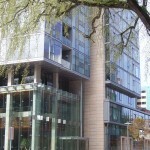 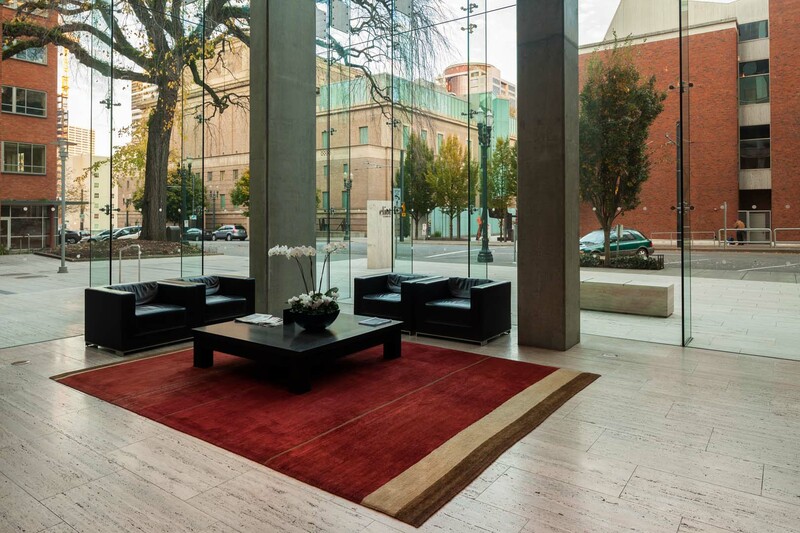 The ultimate modern architecture design of the Eliot Tower began as a request from Portland’s Development Commission and the Mayors office, their opinion was that more contemporary buildings were needed downtown. 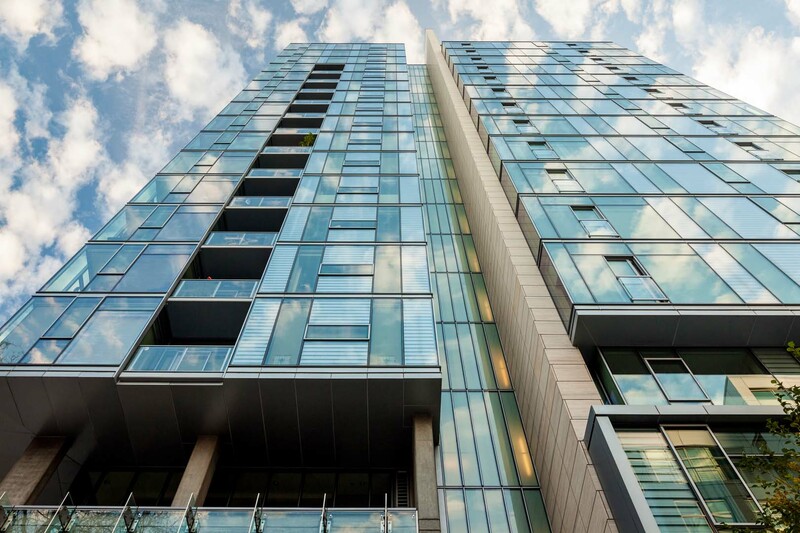 With this request the owner and the architect set a course for one of the newest contemporary high rise multi use projects in Portland. 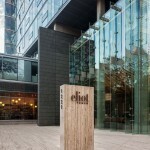 The emphasis on design and sustainable construction was also influenced by the projects location. 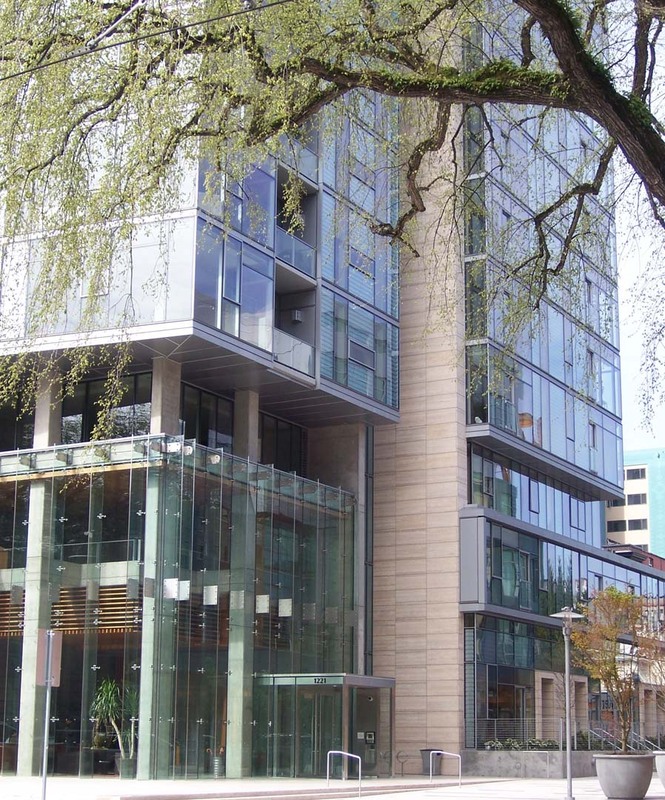 The Eliot would reside near Portland’s south park blocks which are home to the Portland Art Museum, the Arlene Schnitzer Concert Hall, as well as many eccentric shops and restaurants. 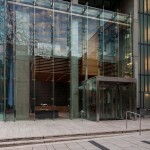 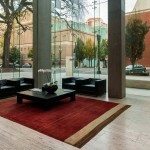 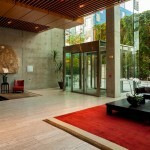 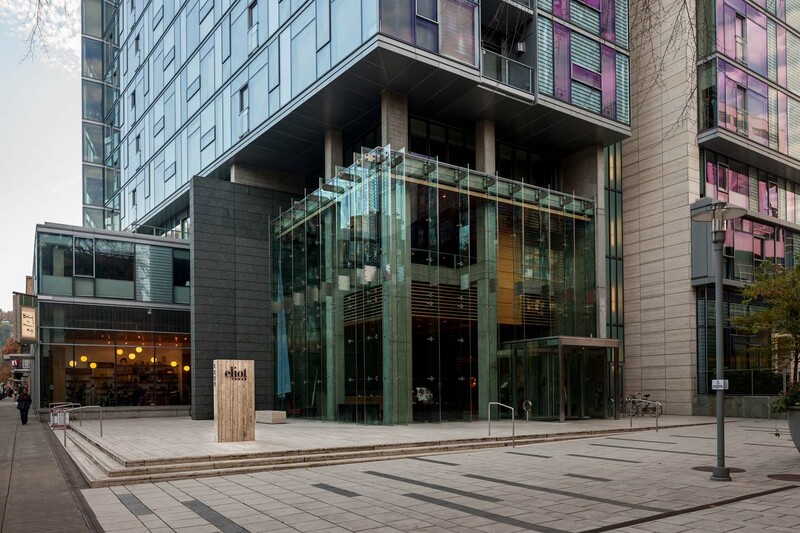 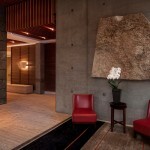 The final building design included 15,000 square feet of honed Ambra Travertine and water jetted Verde Fontain Granite. 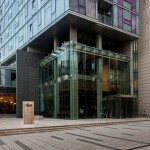 The stone added to the buildings modern curtain wall design and helped to achieve the contemporary look. 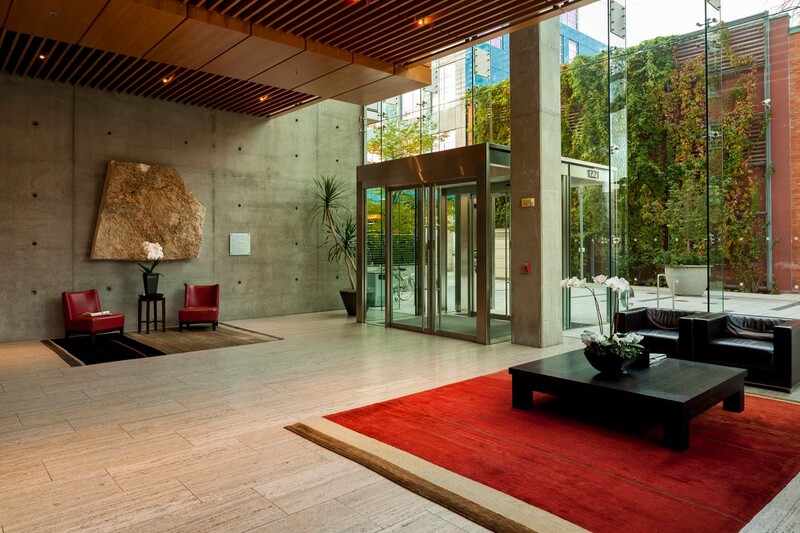 The sustainable methods of construction and building operation were not lost in the design effort and the result was the first project in the United States to receive LEED ND silver certification. 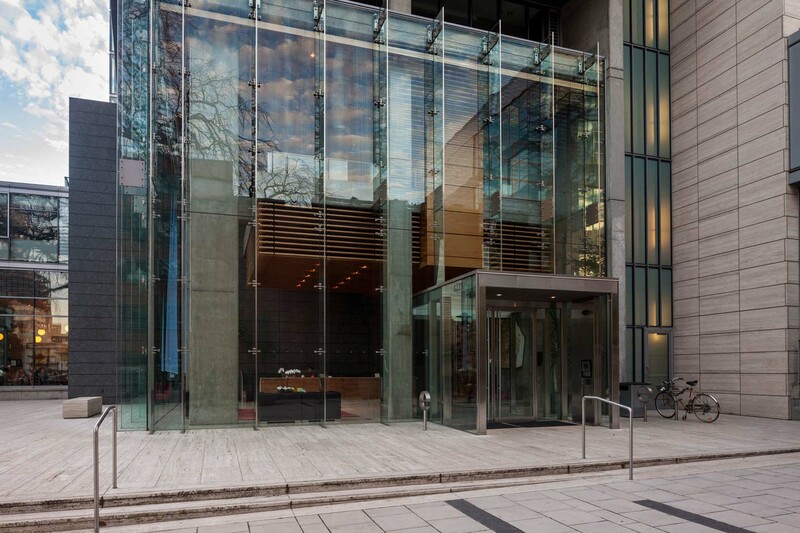 The final stone design would utilize the lighter travertine material primarily with a much darker green granite used to define certain areas of the building. 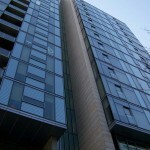 The travertine facades height of eighteen stories gives the appearance of a line separating the towers. 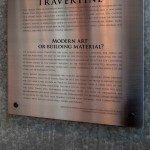 The travertine was also used for paving, cubic benches, cubic signage, treads and risers. 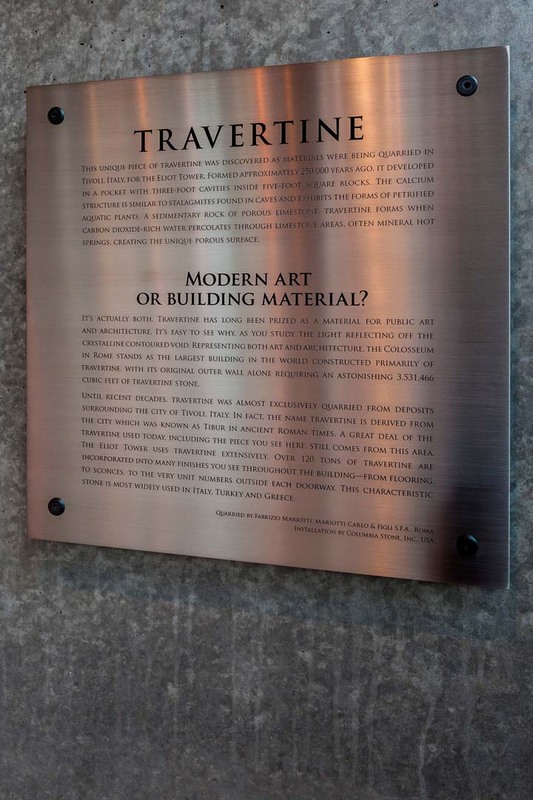 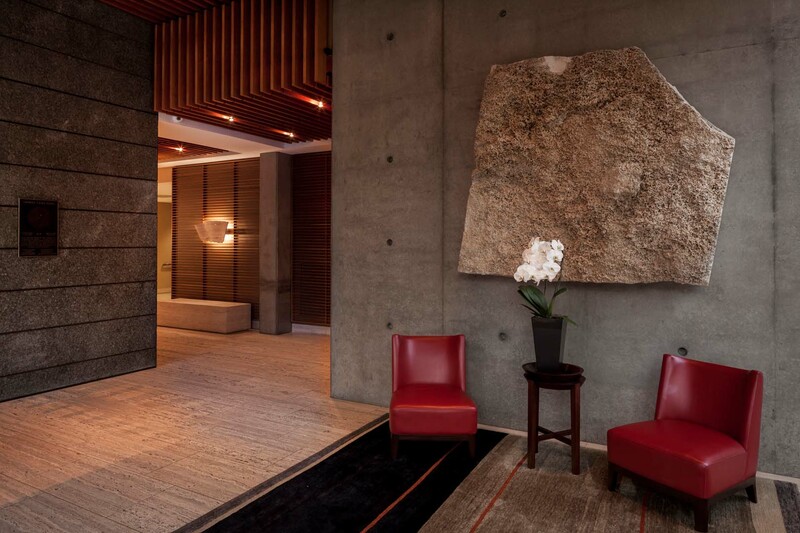 A block end of travertine that had been weathered for more than 50 years was hung on the concrete shear wall in the first floor lobby as art.